Cedar shake and shingle roofs are popular for their natural beauty, long life expectancies and straightforward installation and maintenance. Cedar shakes differ from shingles in that shakes are made by splitting cedar, and shingles are sawn. Cedar shake and shingle roofs work very well with a number of home architectural styles. Exterior Medics is a long time member of the Cedar Shake and Shingle Bureau and the only contractor/installer members in Northern Virginia. Member Manufacturers are able to offer the Lifetime Limited Warranty for jobs installed by Member Contractor/Installers. 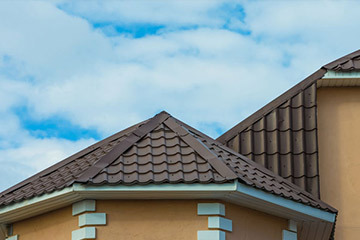 Why install cedar shake roofing? Cedar naturally resists bacterial and fungal growth, bugs, damage from UV light, shrinkage and splitting. Cedar can be fire-resistant when chemically treated. Cedar is extremely durable. 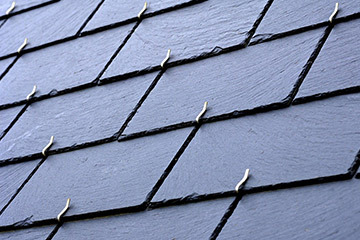 It withstands damage from wind and hail better than many synthetic roofing materials. Homeowners may select from a variety of stains and textures which compliment many architectural styles. Cedar weathers to a silver-grey color. This natural feature comes in handy if shakes need to be replaced, because the new shakes will conveniently age to match the roof in color. Cedar is an environmentally friendly choice as a roofing material. 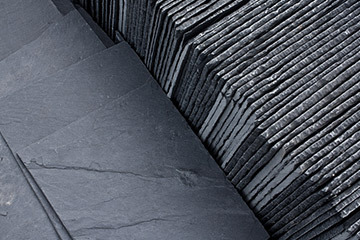 It is biodegradable, a renewable resource, and can be harvested in a sustainable manner. Since cedar is a dense wood, it is a natural insulator, which promotes greater home comfort and saves homeowners substantial energy expenditures for heating and cooling over the roof’s life span. 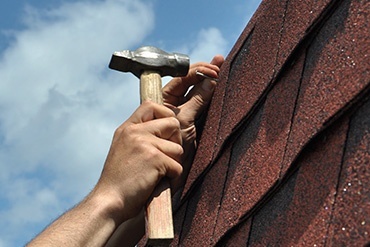 A cedar shake or shingle roof life expectancy is 20-50 years, depending primarily on the quality of installation and materials, and regular care and maintenance. 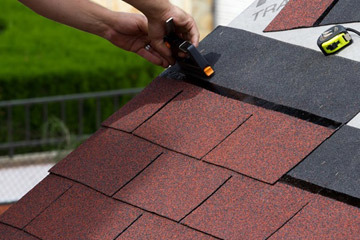 A well-maintained cedar roof provides about double the life expectancy of asphalt shingle roofs. That’s a nice strength. Moss on cedar shake roof shingles can deteriorate the integrity of cedar, and needs to be controlled. 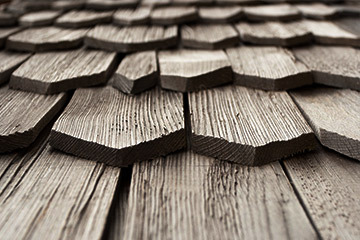 Cedar shakes and shingles require ongoing maintenance to achieve a long life span. 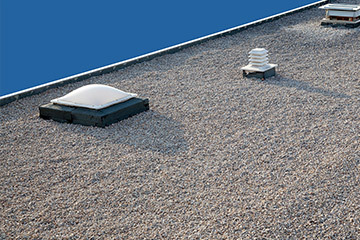 A roof inspection by a reputable roofing contractor needs to be performed every three years in the Northern Virginia and Southern Maryland climate. Exterior Medics is an approved installer of the Cedar Shake & Shingle Bureau, which is a non-profit organization recognized by contractors, the public and building code officials as the industry authority for the education and promotion of safe, high-quality roofing and siding products and services. Additionally, Exterior Medics is proud to be among only 3% of roofing contractors to have achieved the distinction of GAF Master Elite Roofing Contractor, and we’re a DaVinci Masterpiece Contractor Program member.